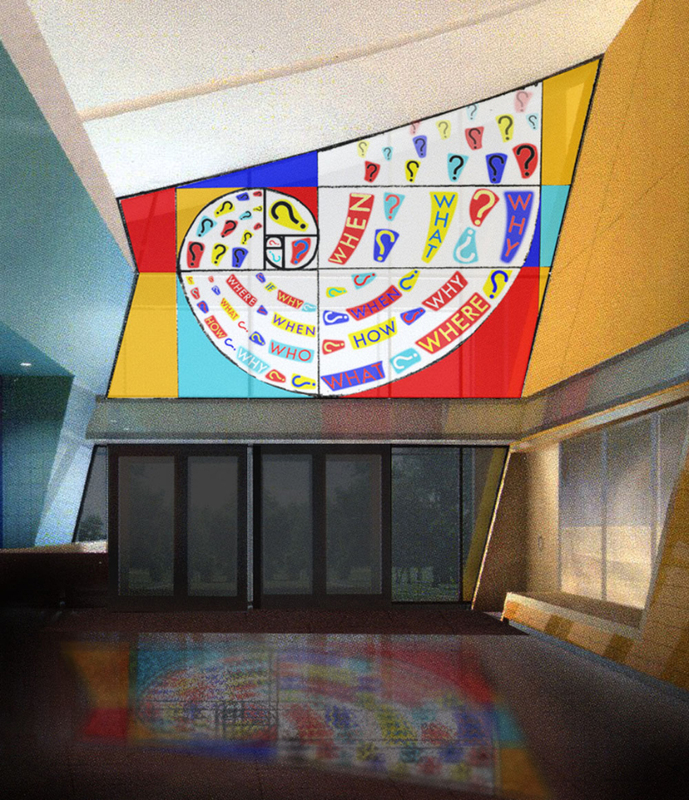 As a finalist for a New York City “Percent for Art” public art project for a new elementary school housed within Frank Gehry’s 74 story Beekman Towers, I proposed a 7 by 13 foot translucent glass mural to go over the main entrance. The lighting illuminating the glass would be programmed with a color changing system so that colored filters would alter the palette in a timed sequence of color shifts. The theme of the piece with its kaleidoscope of vividly colored questions and question marks was to be a celebration of curiosity and a sense of wonder about the world.